Grover Lipkins is considered one of the premier guitarists of the Midwest. Growing up in Omaha, Nebraska, Grover took an interest in music early in life, inspired by his older brother, Grady. Since then he would be known for locking himself up in his room, teaching himself to play all different styles of guitar from solid funk to hard rock, blues, R&B, classic soul, jazz, and even a little country. 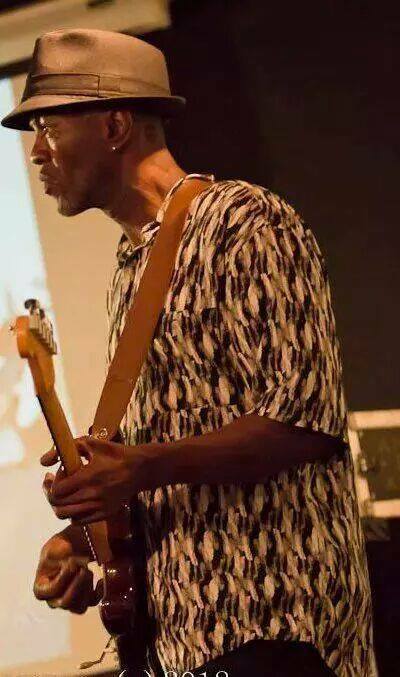 Grover played in several different local bands in Omaha over the years until he was hired by a group out of Las Vegas called Klass 1, which was the house band for 5 years at Bally’s Casino on the Las Vegas strip. Klass 1 also played annually in St. Croix, USVI, at the Divi Corina Bay Casino & Resort for 5 years. After Klass 1 parted ways, Grover played with various local bands in Vegas until he secured a gig with another major group called “Cat Daddy” and did a European tour with them for 3 months. Grover soon became as well known in Vegas as he was in Omaha and became one of the top guitarists on the Las Vegas local music scene. Photo by Kayla Marie Photography — with Paul B Allen IV, Shabaka Mwandishi, Jam Street, Kelvin Jamstreet Wynne and Grover Lipkins at Jesse’s Place. 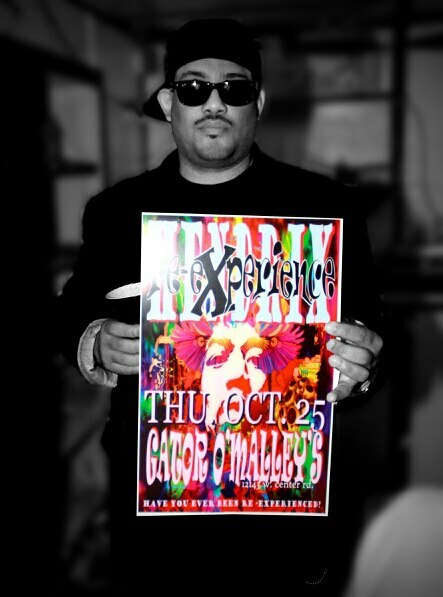 Grover is also well known for the highly successful “Re-experience” that showcased for years his ability to perform the complex and legendary music of Jimi Hendrix. 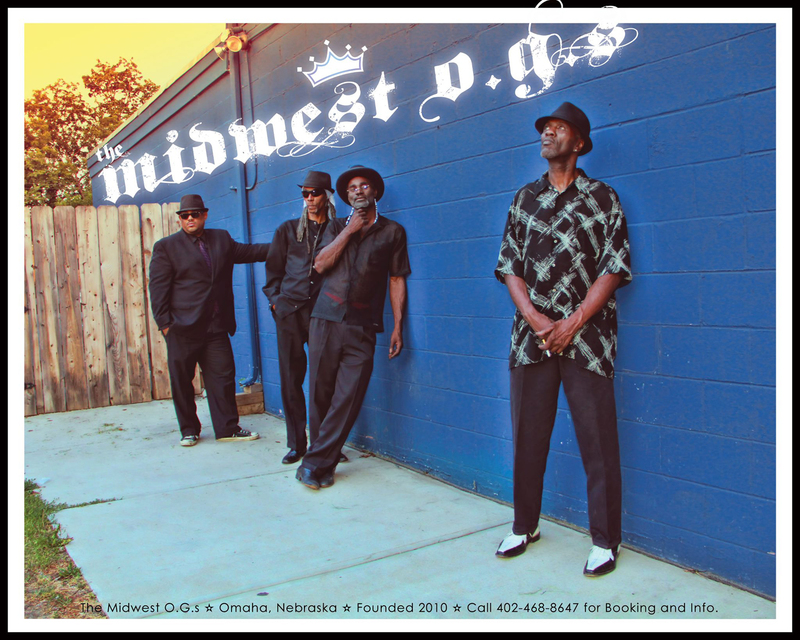 After moving back to Omaha, he formed the “Midwest O.G.’s” in 2010, and has built a solid reputation in the area for creating a premier act. 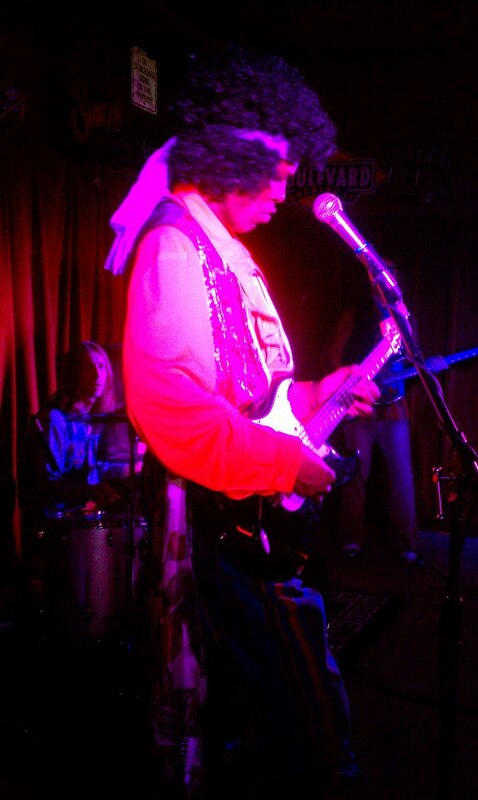 I met Grover years ago, when we hired him to play as Jimi at a family anniversary party. We joined him on stage, and had an absolute ball. Grover is a person and a musician who is so sweet, that you just have a good feeling every time you think of him. I asked Grover FIVE QUESTIONS, he answered via email. 1) How old were you when you first picked up an instrument? Was it a guitar? How did you know it was for you? What was the first band you played with? GL – I was 9 years when I was introduced to my 1st love, the guitar.. :). I knew that I was gonna be a guitarist because I used to sneak & play my Big bro Grady’s (R.I.H.P) guitar every time he would leave…:) The 1st band that I was in was called 6 Degrees South.. Me & Jesse Wallace on guitar, James Taylor on bass & my brother Jimmie on drums..
2) When did you first start playing out as Jimi? Any funny stories about playing shows like that? 3) What music do you love to listen to? Favorite guitar players? GL – As far as favorite guitarist, there’s many, it depends on what kinda music were talking about…You already know that Jimi is one of them, I think that he was the most original of them all..
4) How do you practice? What type of gear do you use? Anything piece of equipment you would like to add to your arsenal? GL – I practice anytime that I can, no particular order unless I’m leaning new material… Guitars, 5 Strats, Telecaster, 2 basses , Tama drums & an Ibanez jazz guitar… As far as more gear to add, another guitar (Gold top Les Paul Deluxe), lol, I can’t get enough of those things…oh yes & more recording gear…. 5) Musical goals for the future? Short term? Long term?